Engadine is a suburb to the south of Sydney, bordered by the Royal National Park, not far from Sutherland and Heathcote. Boystown Oval, Lot 634 Woronora Rd, Engadine ‎ (Pink Marker on the map below). 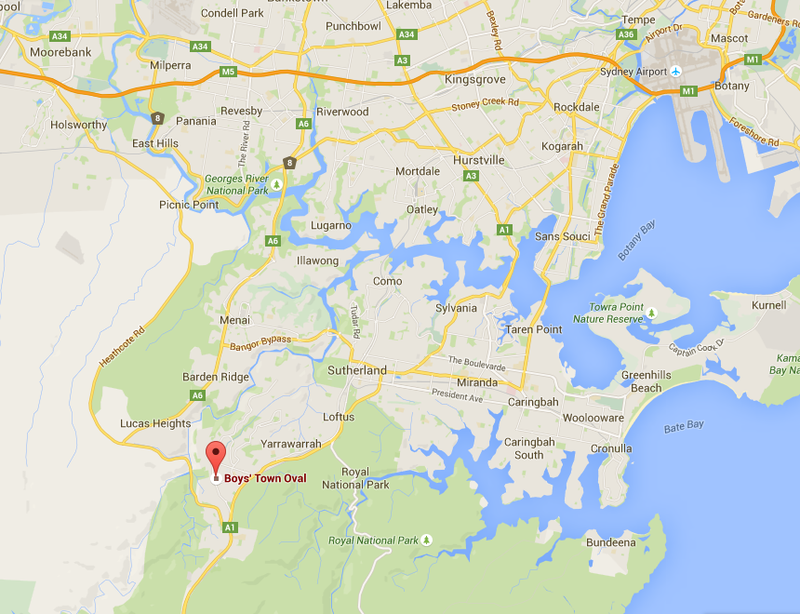 Best access is off the Princes Highway via Anzac Avenue or Woronora Rd. The Oval is behind the Dunlea Centre adjoining the St John Bosco College. The field has recently been upgraded with 200 Lux Lighting. There are Toilets available at the grounds. Click Here for a more detailed map and directions to Boystown Oval.